Police in Everett, Washington, say they're responding to unconfirmed reports of a man with a weapon at the Boeing plant there. According to KOMO-TV, Everett police spokesman Aaron Snell says there have been no reports of shots fired or any injuries. Snell says several people called police Thursday evening to report an armed man inside the plant where several types of commercial airplanes are built. Numerous police units have responded. Boeing Co. spokesman Doug Alder says the company is "taking all precautions" until officials know what's going on. He declined to specify those precautions. 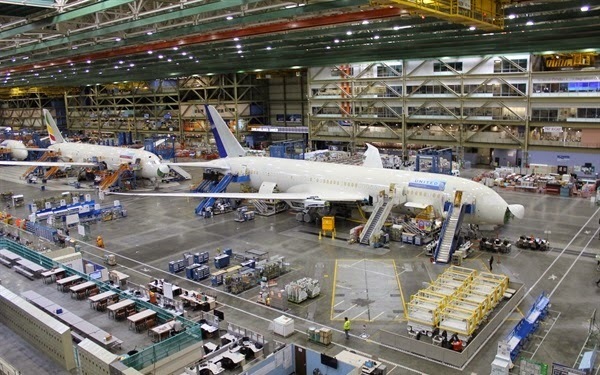 Boeing says the Everett facility is home to its wide-body jets — from the 747 to the 787.